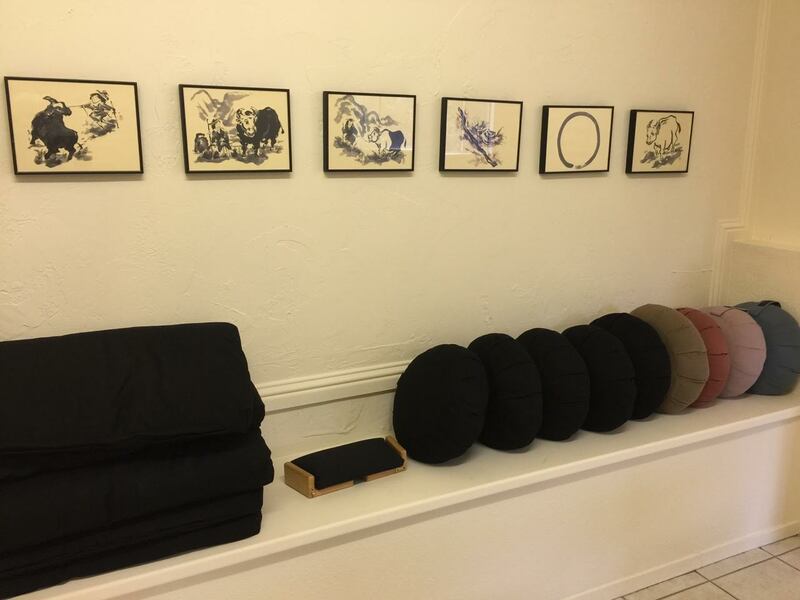 With the closing of Empty Nest Zendo in North Fork after many years, there was no longer a dedicated venue for practicing Zen in the foothills of Eastern Madera County. 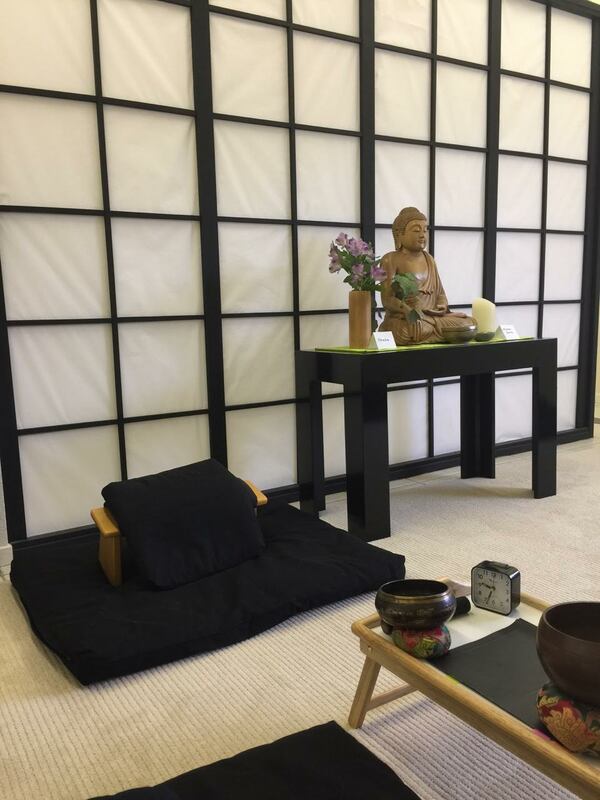 Bodhi Oak Zen Sangha arose from a wish to establish a meditation group expressed by two lay practitioners of Zen who had moved to the mountain area. They asked Mary-Allen Macneil, an ordained Zen priest, to help start a group. 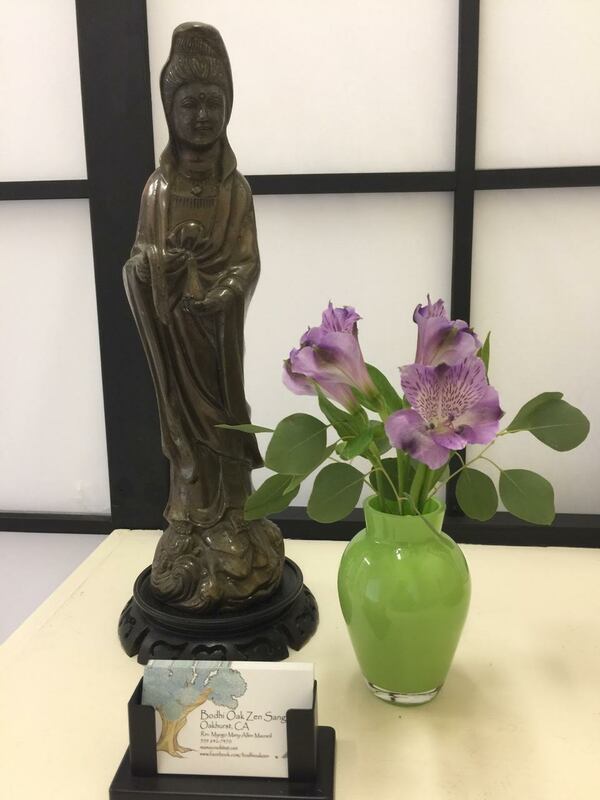 Beginning with a public lecture and slide show, “Introduction to Zen”, given at the Oakhurst Library in May of 2016, Bodhi Oak Zen Sangha was born. We began sittings at a local yoga studio in July, 2016. Within a few months, we realized that we needed a dedicated space, and we began a search for an appropriate rental. 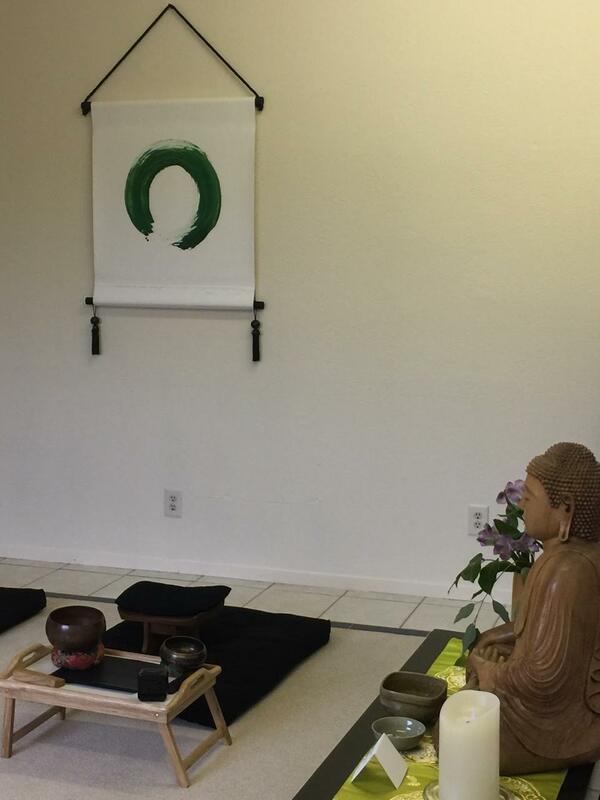 We found a storefront in a shopping center on the outskirts of Oakhurst, and began conversion to a zendo in October. We held our Zendo Opening Ceremony there in December 2016, to coincide with the date on which the Buddha’s enlightenment is celebrated annually. 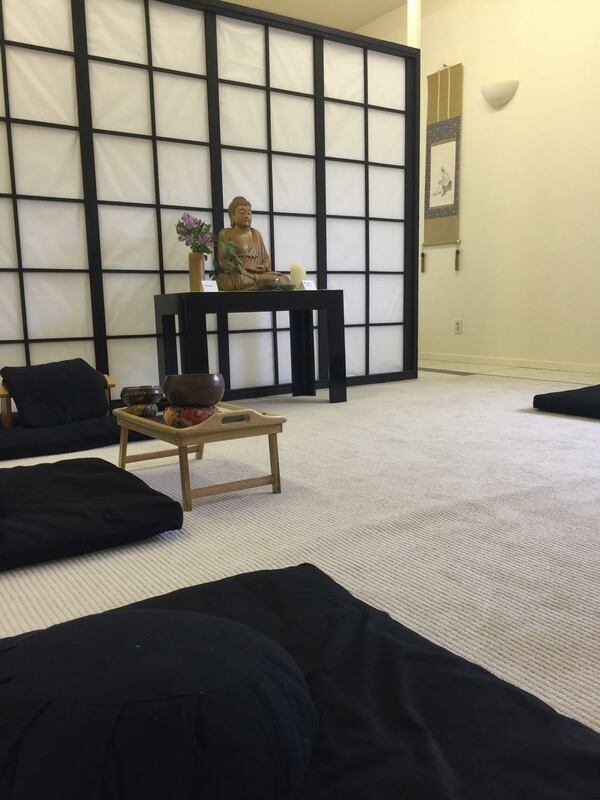 Bodhi Oak Zen Center has natural light and a view of our beautiful Sierra, offering a calm and peaceful environment for practicing meditation in community. There is a separate room for practice discussion with the teacher, a small kitchen, and a bathroom. 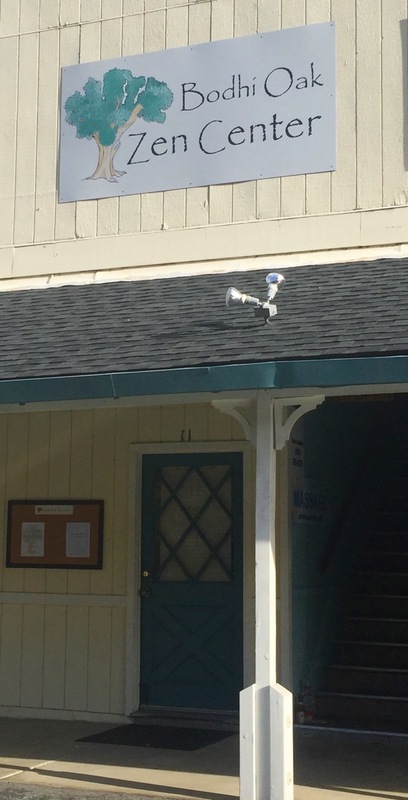 Since our Center is located in Oakhurst – meaning oak-wooded hill – we decided on the name Bodhi Oak. Following the example of the Buddha, we can awaken here, where we live, in the shade of our own trees. 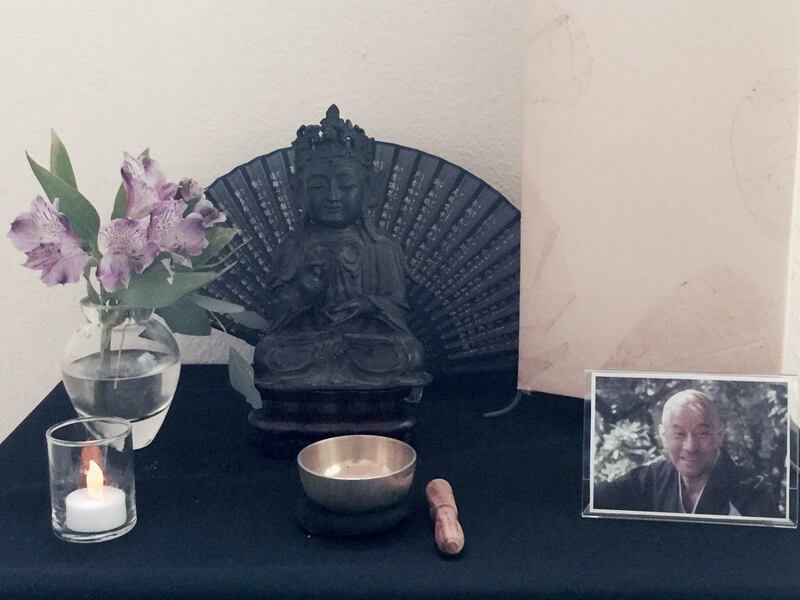 Bodhi Oak Zen Sangha is a religious non-profit 501(C)3 corporation. Our teacher is an affiliate member of the Soto Zen Buddhist Association. Our Sangha is a member of Branching Streams.